An enduring memory from my first trip to Beijing in 1983 was the chaos at Beijing Airport. To claim our baggage we waited for the small baggage hall to be filled with bags and when the doors were opened, we all rushed in helter skelter to find our bags. When the hall was empty of bags, they shooed the people out, closed the doors and started filling the hall again and the process repeated itself a few times. We found one bag in the second scramble and another in the third session, but what an introduction it was to the capital of China. 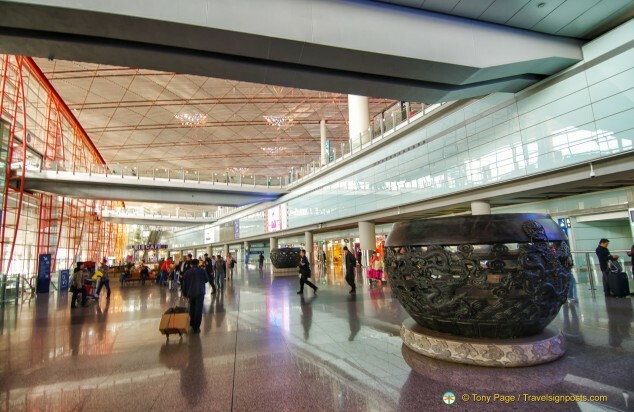 Fast forward thirty years, Beijing is a very modern city and on our arrival at Beijing Capital International Airport we are blown away by the size of the airport and its ultra-modern design and facilities. It sadly reminds us of how badly we need a new airport back home in Sydney. As its name implies, Beijing (the Chinese characters translate as “northern capital”), the capital city of China, is located in the north of the country. In its extremely long history, China’s capital city has been relocated a number of times and it has had many name changes, but the name “Beijing” was adopted following the Communist takeover in 1949. During my 1983 Beijing visit, the city centre was pretty flat and I had the pleasure of having drinks at their newly opened and first international-standard hotel. Luckily, we’ve all seen images of the Chinese capital in the news and the concrete jungle that is Beijing today comes as no surprise. But behind the constant blanket of smog that frequently veils visibility in Beijing, there are some interesting and fancy building designs. 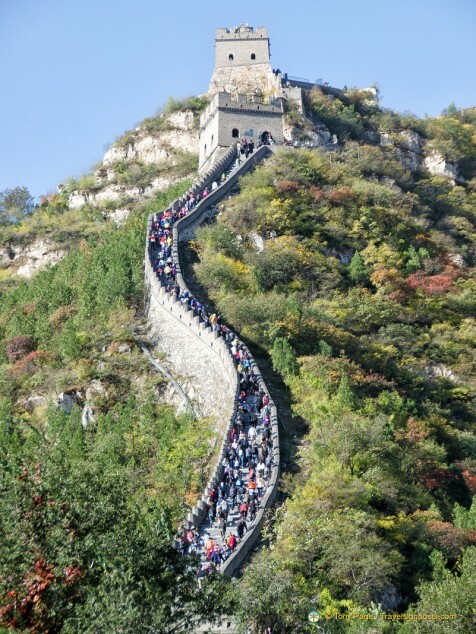 China’s history is extremely rich and varied and although the country has made amazing progress in its leap into the modern world, what the majority of visitors come to see are its ancient treasures. Most of the monuments and historic sites that are on the tourist trail these days are from the Ming and Qing dynasties. 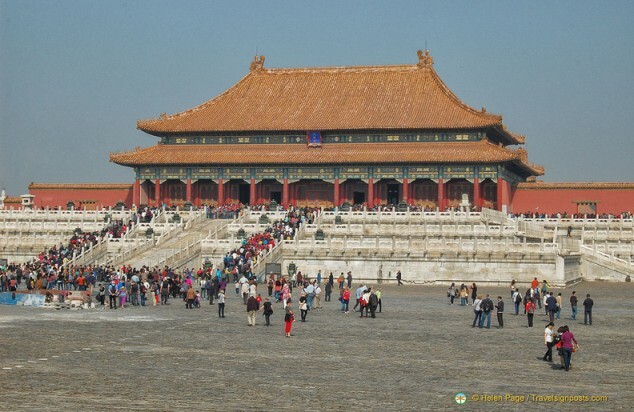 Beijing was one of the Four Great Ancient Capitals of China and it has been the political center of China for much of the past eight centuries. As such, the city is endowed with opulent palaces, imperial gardens and parks, temples, tombs, defensive walls and gates, not to mention all the arts and treasures. 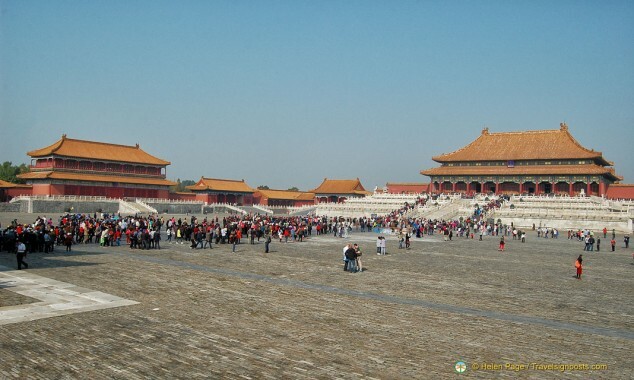 There are seven UNESCO World Heritage Sites in Beijing – the Great Wall of China, the Forbidden City, the Temple of Heaven, Summer Palace, Ming Tombs, Zhoukoudian and the Grand Canal. 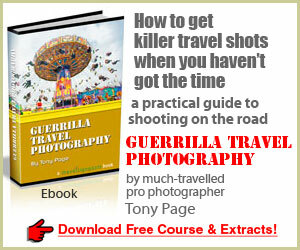 However this city of 21 million people has much more attractions to keep its people entertained and amused. As visitors to one of the world’s most populous cities, we barely scratch the surface of what Beijing has to offer during our short visit. 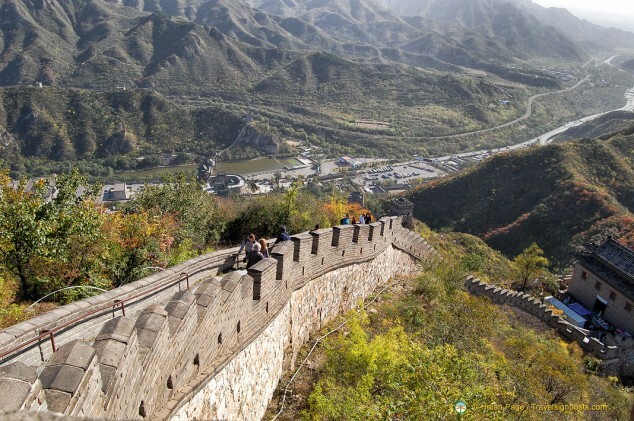 The Great Wall of China is our first encounter with China’s Ming dynasty legacy. At the Summer Palace, after a brief introduction from our local guide, we have free time to explore the vast Palace grounds with its lakes, gardens and pavilions. The Summer Palace was the summer retreat for the Empress Dowager Cixi who was reputed to have diverted money meant for the Chinese navy into reconstructing and expanding her Summer Palace. 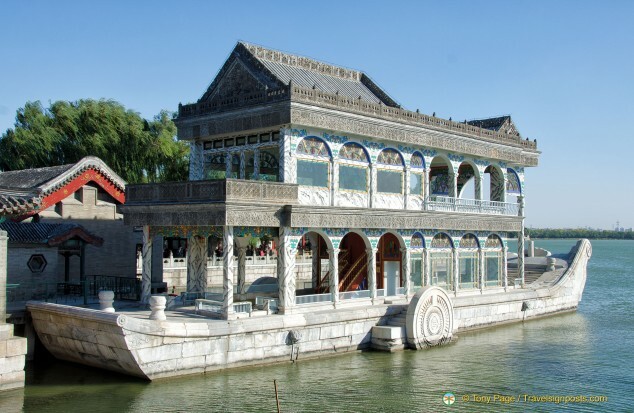 One of the star features here is the Empress’s marble boat. Unfortunately this marble boat didn’t help China when the First Sino-Japanese War broke out … and China lost! In 1983, I was able to get onto the marble boat and had quiet enjoyment of the lake views from its upper deck. Since its refurbishment for the Beijing Olympics, the boat is now off limits. 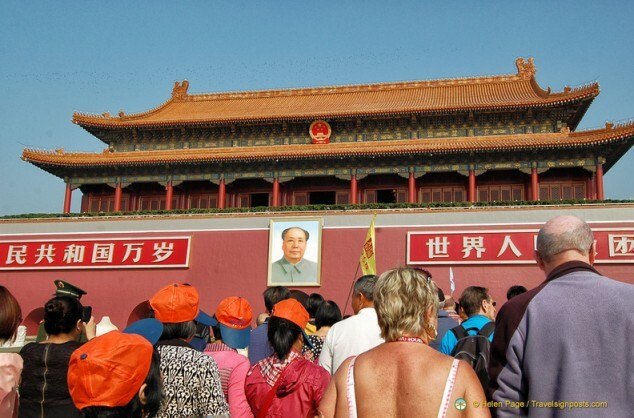 Tiananmen Square is another popular stop on our itinerary. 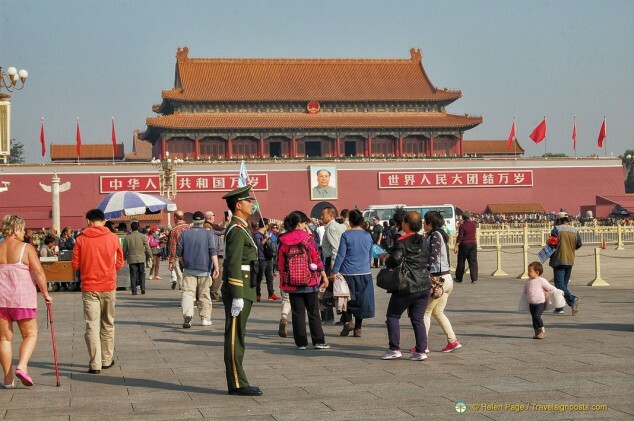 On the fringe of the square and in the square are significant monuments like the Mausoleum of Chairman Mao, the Tiananmen Gate and the Monument to the People’s Heroes. The National Museum of China and the headquarters of the Communist Party of China are on the fringe of the square. From the Tiananmen Gate we enter the Forbidden City, the enormous palace that housed twenty-four emperors from the Ming and Qing Dynasties. 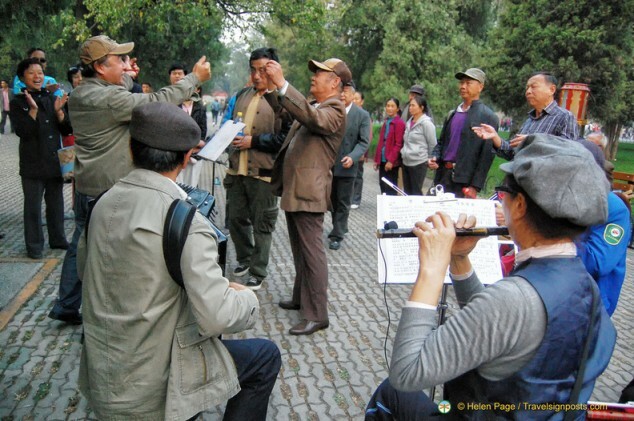 At the Hall of Supreme Harmony we have first hand experience in jostling with the locals to see the Emperor’s throne. 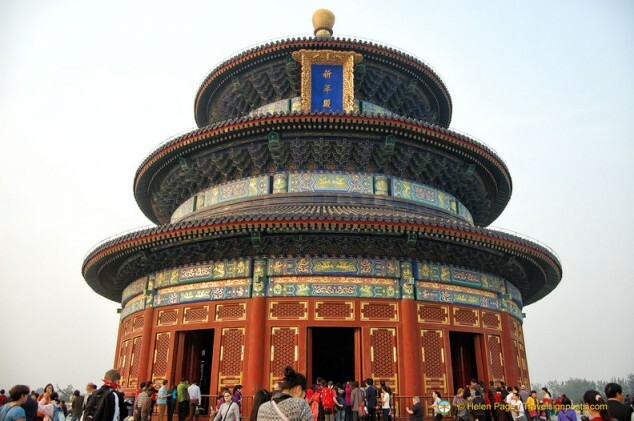 The Temple of Heaven is the place where the Ming and Qing emperors used to go to for worship and make sacrifices. In return they hoped for favourable rain and bumper harvests. 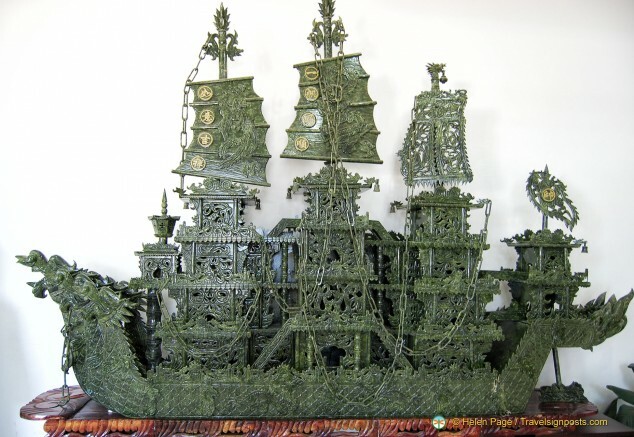 Jade is a very popular semi-precious stone for the Chinese and we make a visit to a jade showroom to see the most intricate pieces of jade carvings like this Chinese galleon. Of course there are plenty of little items of jade jewelry and ornaments if you’re looking for presents. 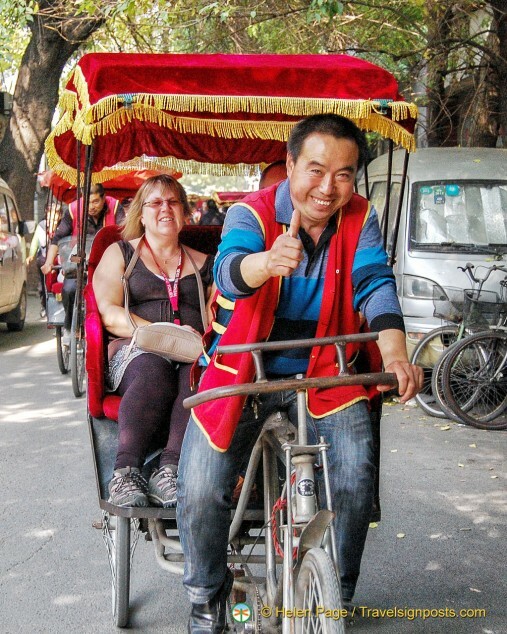 A rickshaw ride around Beijing’s hutongs is an interesting experience. Although much of the old streets and settlements have been demolished to make way for modern roads and high-rises, some of the hutong areas have been preserved and some have become trendy with cool cafés, restaurants and boutiques. The rickshaw ride itself is a little bumpy so we’ll see how Tony’s video turns out. One of the highlights of our Beijing stay is the visit to Mr. Liu’s residence in the hutong district. 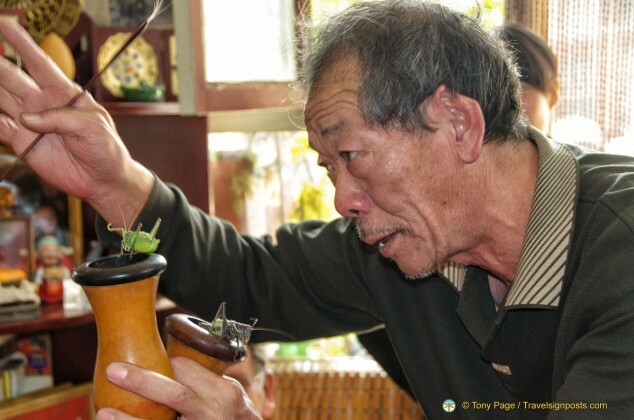 Mr. Liu is famous as the champion cricket fighter and he’s also quite a character. The famous Beijing opera and acrobatic shows are other things to do in Beijing. The spectacular acrobatic show, with a difference, involves five daredevil motorcycle riders performing their stunts in a metal mesh globe. 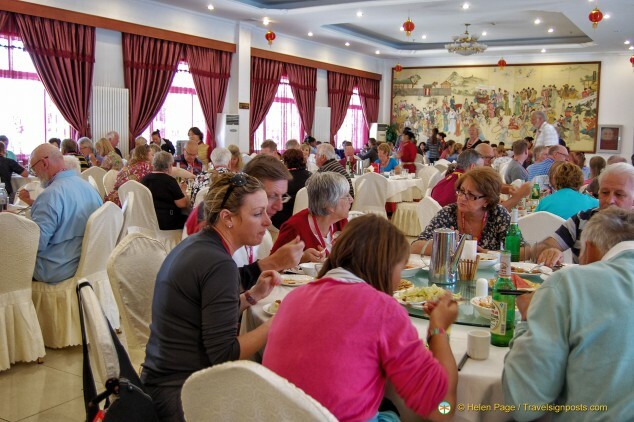 We have plenty to eat in Beijing and lunches and dinners are usually Chinese banquets. There’s usually too much food, and we ask our tour guide to cut down on the amount of food she orders, but she says that her job is to feed us. It’s a Chinese tradition that guests must never go away hungry. Meat eaters do well as there are usually pork, beef and chicken dishes provided, not forgetting the famous Peking Duck. ‘Fishertarians’ like us don’t fare too well as fish and seafood are expensive. Perhaps less food, quantity-wise, and better quality food (i.e. including seafood) is the compromise. If you’re prone to buying things, Beijing has plenty to tempt the shopper and you can buy most of the traditional Chinese products in this city. For our two nights in Beijing we stay at the Jiangxi Grand Hotel which is just outside of the 3rd Ring Road. Our room 1411 is very spacious and comfortable, although the air-conditioning has a mind of its own. There is a kettle in the room and Chinese tea bags are provided, but if you prefer English tea, you’ll need to bring your own supply for your entire China trip. 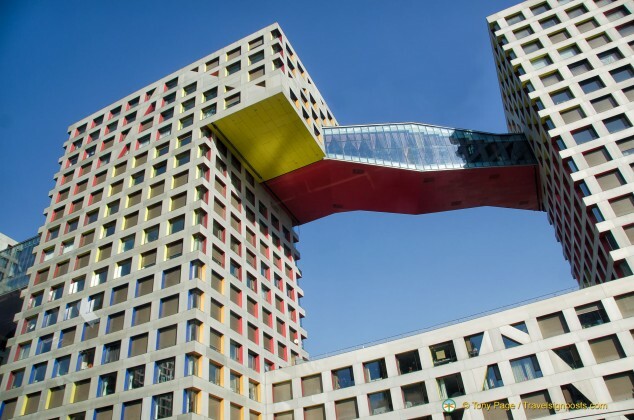 For more Beijing hotels, see Here. It’s impossible to really get to know Beijing in a short visit but we’ve seen a fair spread of its key attractions in our few days here. See more Beijing photos in our Beijing Photo Gallery Here.